There is no question that stuffed animals hold a magical spot in the hearts of children (and, ahem, adults) everywhere. Their plush softness, their extra huggability, their cute looks, the way that they are there for comfort when you're down or to celebrate when you're happy... stuffed animals have been, and most likely always will be, a child's lifelong best friend. So, really, how can they be made any better? Thanks to Hallmark, a fuzzy plush now has the ability to be more than just that. 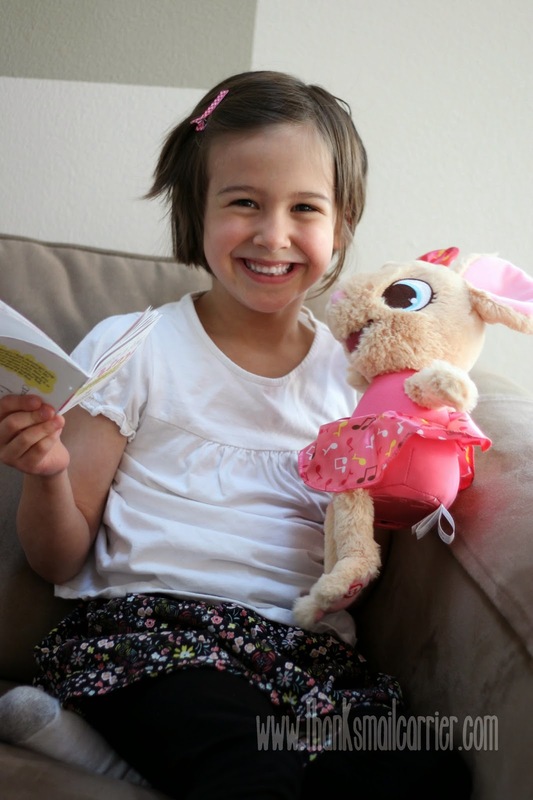 Because now a stuffed animal can provide an entertaining, interactive experience with the new Request a Song Mimi! Arriving with a library of seven cheerful songs, Mimi works using iReply technology to recognize her human pal's voice. Simply request which of her positive songs you would like to hear (or say "Mimi's choice" to have her surprise you!) and she'll break into song. 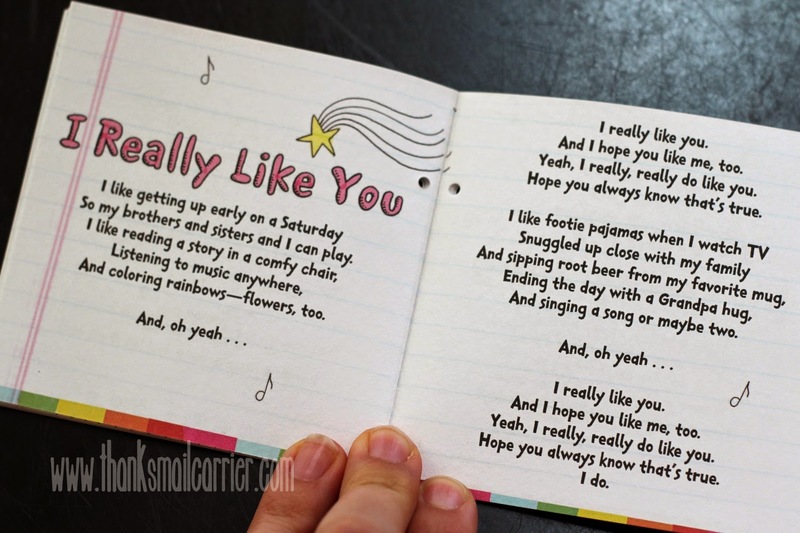 As Mimi's songs are not only child-friendly but easy to learn, kids can dance or easily sing along just by listening to the lyrics a few times or by using the included songbook to get a jump start on picking up the words to each of the pop tunes. What more could my rock star wannabe kids ask for? It was time to see just how much musical fun we would have with our own Request a Song Mimi! Little Sister B was understandably thrilled the moment she saw Mimi, commenting on everything from her plush fabric to her girly pink outfit to her large, sweet mouse eyes and ears. As Mimi comes with batteries included, all that is needed to start singing and grooving is to turn her power switch to On and press the musical note on the bottom of her foot. Mimi immediately comes to life in a cheerful way and asks which of her songs to sing. Once a song has been picked, the catchy music begins to play and Mimi happily keeps tune through to the end, where she asks what song to sing next. My kids have had all sorts of fun singing along and performing with Mimi, whether putting on a show for the whole family or simply having some individual time with her in their rooms. It's hard to listen to any of these happy songs without ending up with a smile on your face and Little Sister B has especially loved dancing along to just about every song Mimi has to sing! The only aspect of Mimi that we have found missing is that she does not have a volume dial, which would make it possible to raise or lower the sound level of her singing and the background music. It can feel a little too loud when she is singing right next to you, so I wish that Hallmark would have included a way to control her with a virtual shhhh! Other than that, however, Mimi has been a fun addition to our household and her original songs (which really are catchy and not annoying!) are a positive, cheerful way to bring more music to a variety of different ways to play! 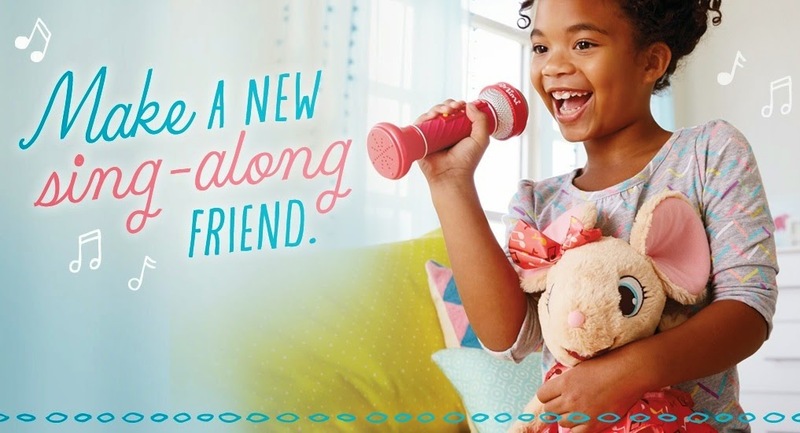 Request a Song Mimi Stuffed Animal retails for $29.95 and can be purchased now at Hallmark stores and from Hallmark.com. 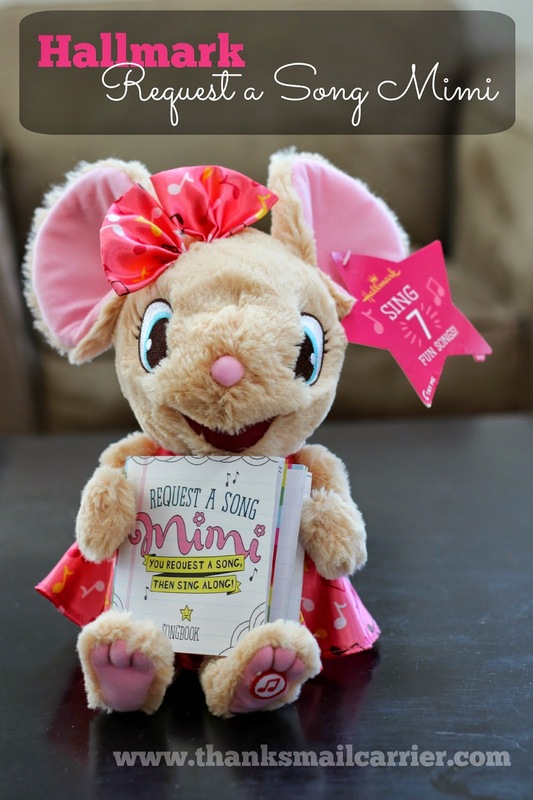 There is also an accompanying storybook, Mimi Finds Her Song, that tells the tale of Mimi as a songwriter, and a Sing With Mimi Microphone to extend the Mimi love and stardom even further. You can find out more about this and all of Hallmark's incredible cards and products by visiting their website and connecting with them on Facebook, Twitter, Pinterest and Instagram. Other than the Request a Song Mimi Stuffed Animal that I was provided by Hallmark in order to facilitate my review, I was not compensated or enticed to do this post in any way. This review is solely my honest opinion about this product. Hallmark has the nicest items. I think that's just about the cutest mouse I have ever seen. I just love her!! I want her for myself. This is a wonderful toy. Kids love to sing!! Cute. I'd HAVE to have a volume control if I were to get this. Hallmark always has the cutest things like this, perfect to get to add to our story time with the kids. This is so adorable!!!! MY little neice Nataleigh would love this!!!! I just love this! The mouse is so cute and the concept is wonderful! I like how interactive it is.